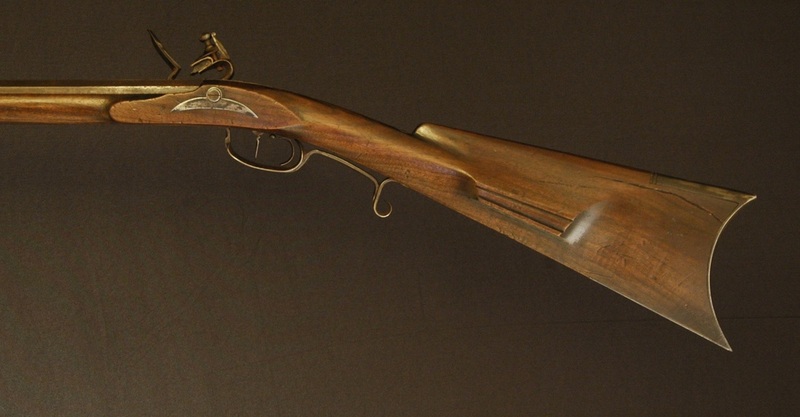 This rifle is built in the style of the original backwoods gunsmiths of the early 19th century in western North Carolina and east Tennessee. 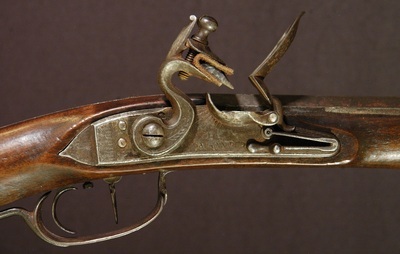 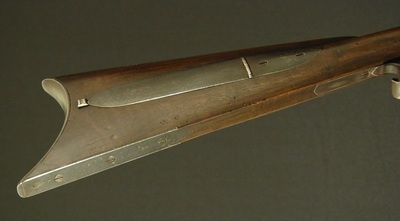 Also known generically as Southern Mountain Rifles, these arms typically feature unique forged iron hardware and import English locks. I attended school in western North Carolina and enjoyed paying tribute to the original gunsmiths who made their trade in the same valleys of the Blue Ridge mountains. 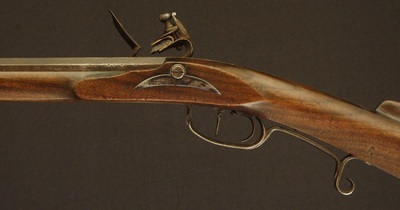 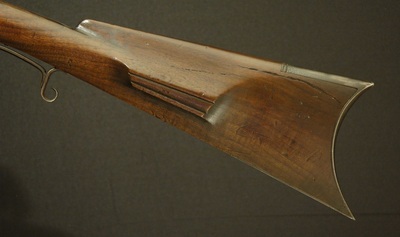 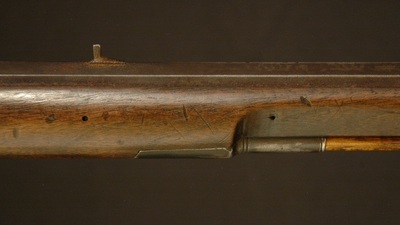 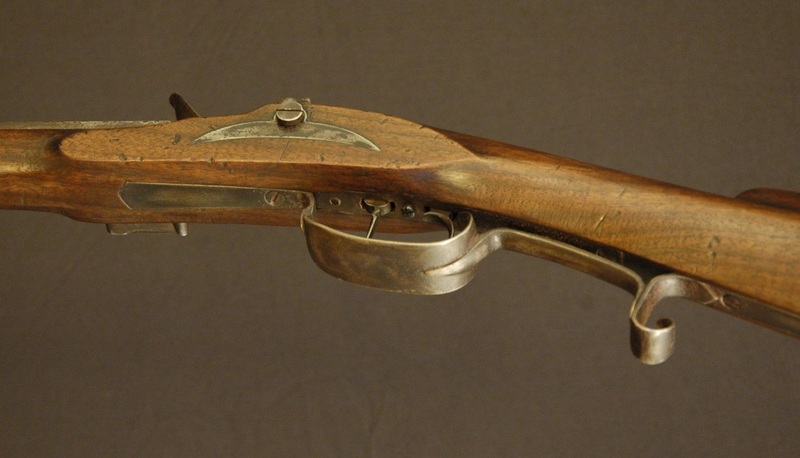 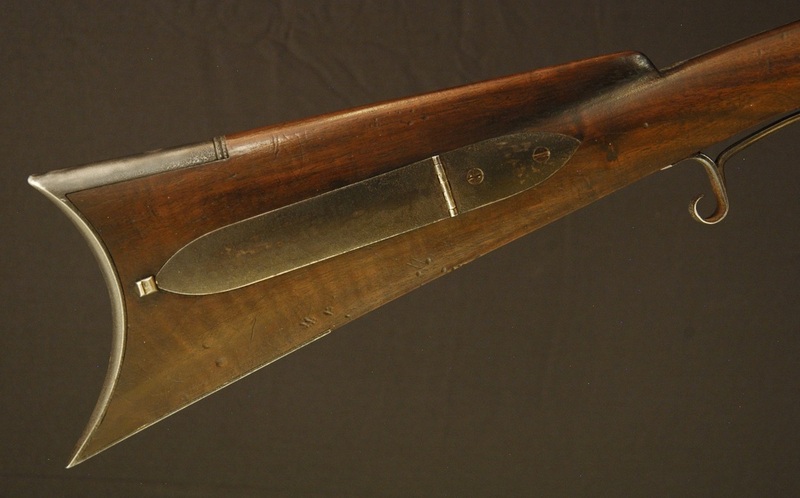 The walnut selected for this rifle had severe stress cracks in the buttstock that were only discovered after the barrel had been inlet and stock cut for the buttpiece. 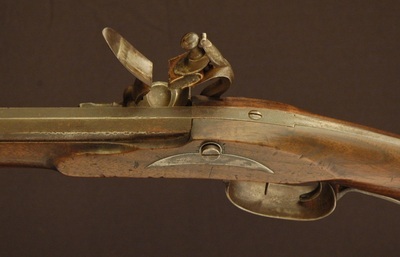 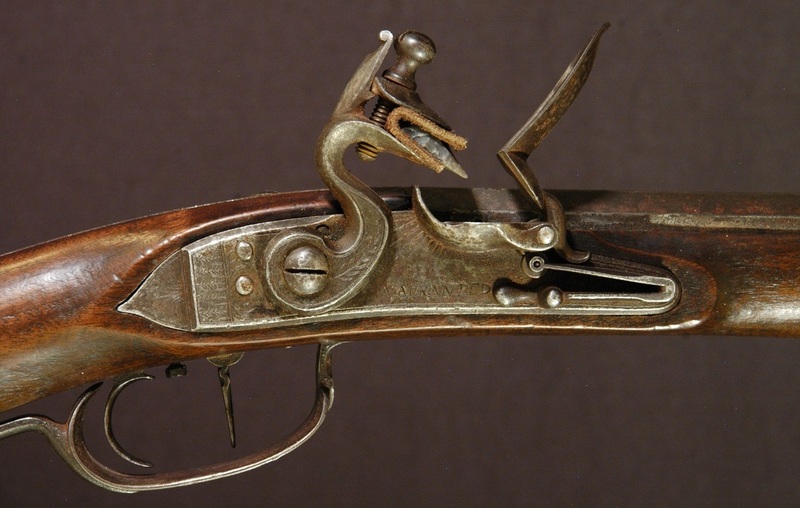 Instead of scrapping the project, the cracks were stabilized and the rifle was built to appear as an original, with the appearance and patina of a period walnut stocked arm. Though the barrel is signed with my name and date, the rest of the rifle was extensively aged to give the appearance of a well taken care of original. 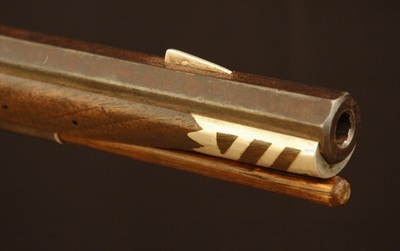 The toeplate is riveted to the buttplate as the originals often were, and the iron patchbox has a simple nail head release.